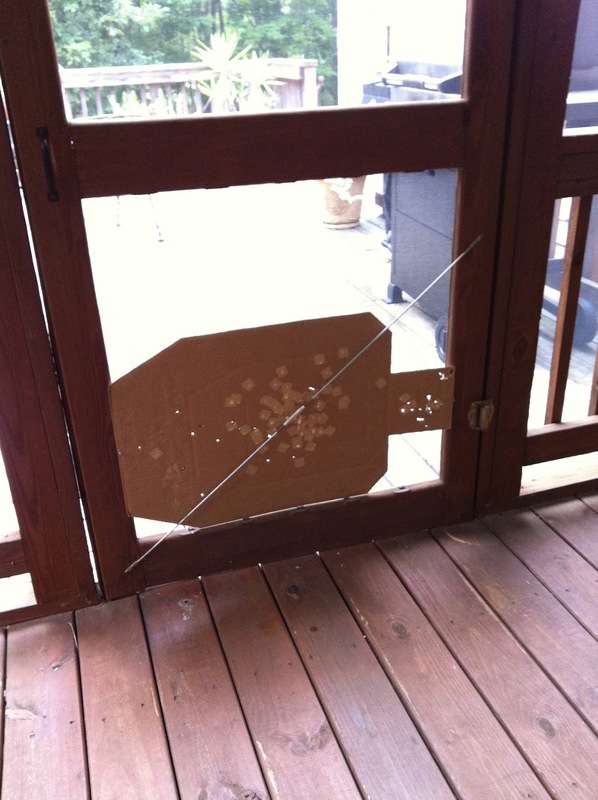 I fixed the screen on the porch door. Again. Hopefully this will help the dog notice that the screen is back in place. There's no implied threat. Really.